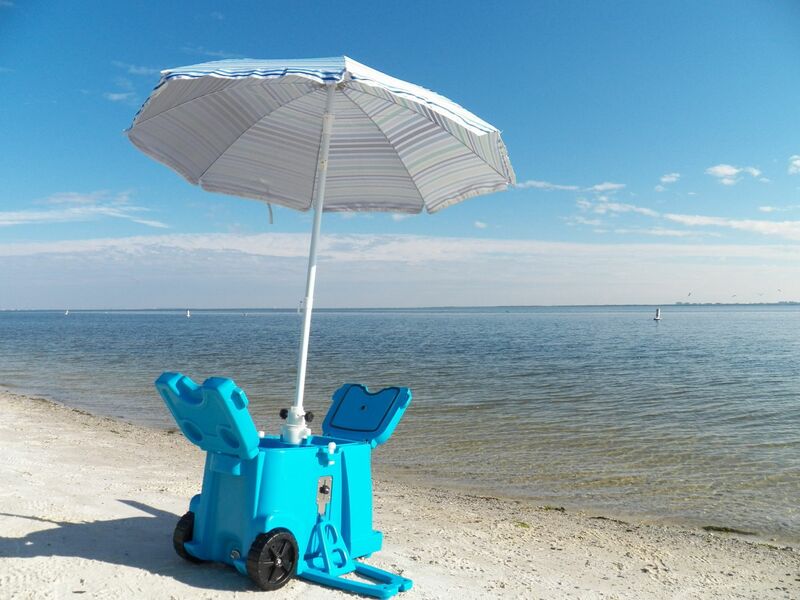 Meet the world's first rotomold umbrella cooler! 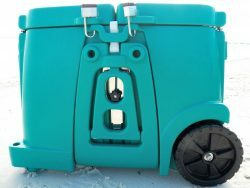 The very last cooler you will ever need! INTRODUCTORY SPECIAL PRICING - FOR A LIMITED TIME ONLY! 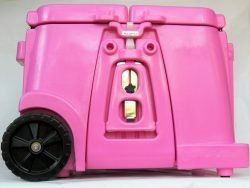 The incomparable RolliPoli is the most unique, versatile cooler on the market today! The RolliPoli comes equipped with a solid divider wall. It's like having 2 coolers in 1! 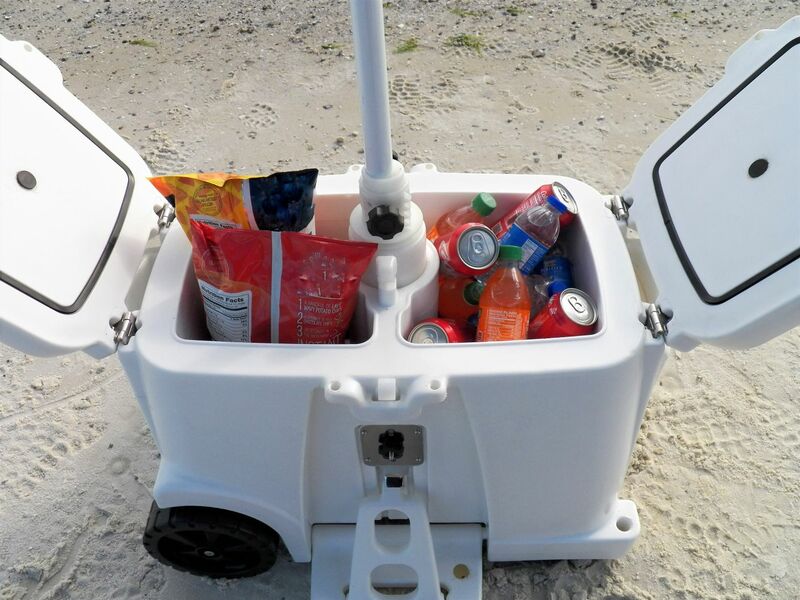 Keep your drinks on one side and food on the other. 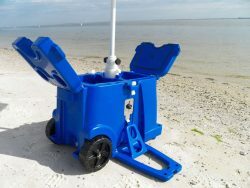 The World's First Rotomold Umbrella Cooler! 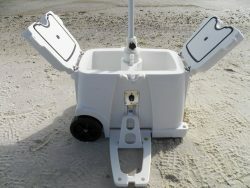 Gone are the days of struggling to get your umbrella in the perfect spot in the beach sand. 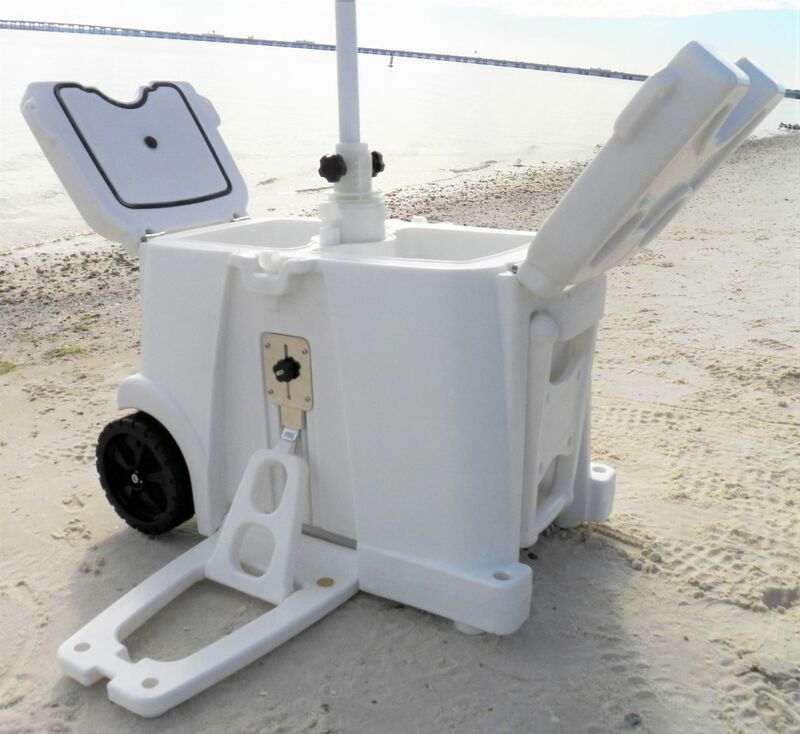 With the RolliPoli umbrella attachment just secure your umbrella, deploy the stabilizer arms and relax! Safety is always first with the RolliPoli. 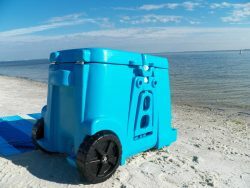 Each cooler is equipped with stabilizer arms to be used while enjoying the shade under your umbrella using the RolliPoli umbrella attachment. Some things just need to be kept under lock and key. 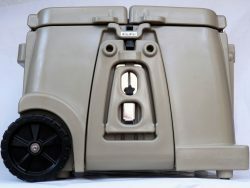 The locking feature of the RolliPoli gives you the ability to add a lock to either side of the cooler in order to secure your items. Quality is what you get with the RolliPoli! 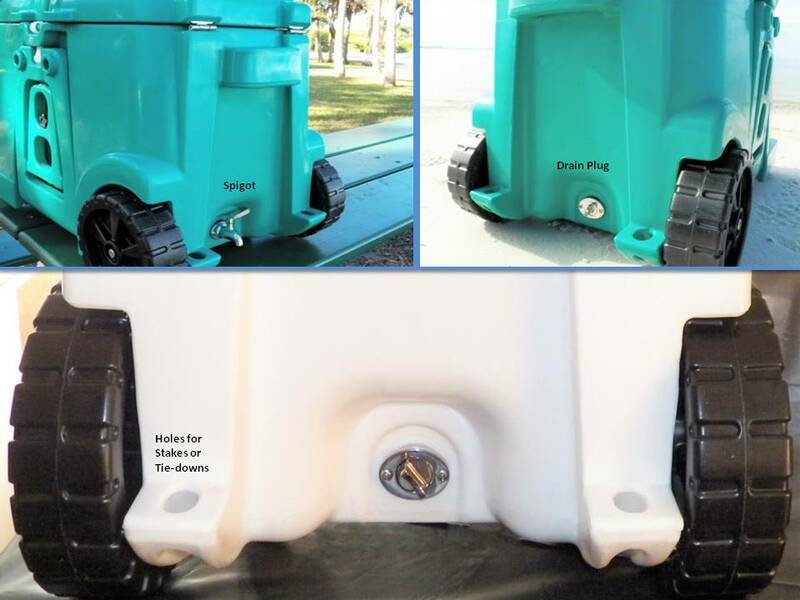 The drain plugs and interchangeable spigot (optional), as well as other metal components are made with quality stainless steel. 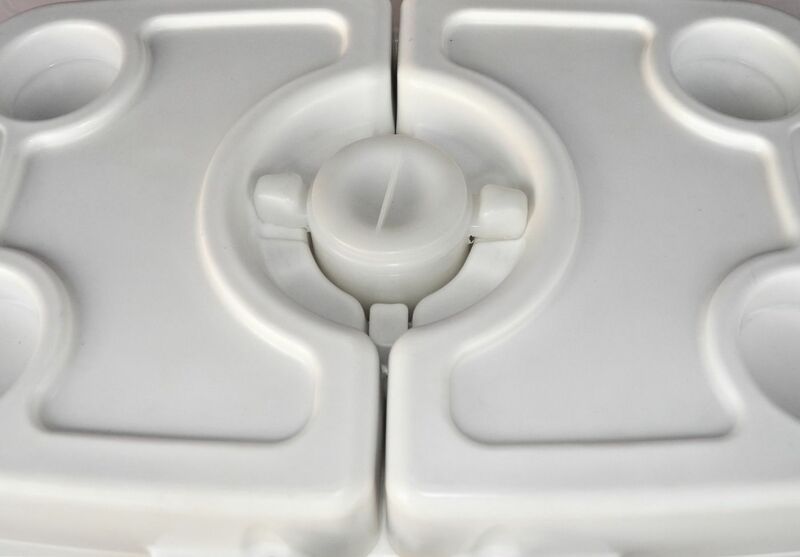 Our lids open outwards for maximum convenience, and are secured with the most unique twist lid-lock. Rollipoli is available in many beautiful colors!